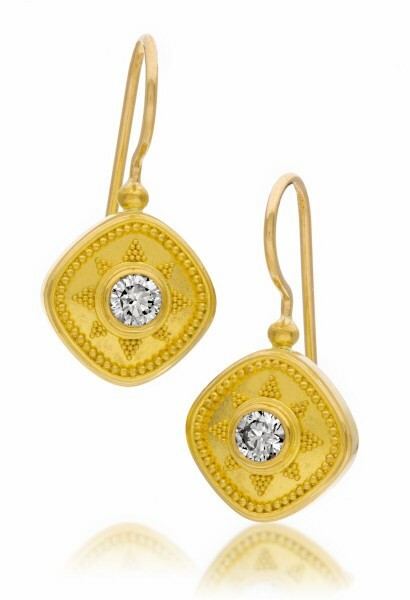 22K gold featuring .50 ctw diamond. Also available in the slightly smaller version with .22 ctw diamonds, or with the gemstone of your choice. Ear wires are in 18K gold. Approximately 1” high.